Beautiful city home with 5 bedroom that qualifies for LGH home in the city program. Hardwood floors throughout and the first floor (refinished in 2017). Relax in the living room in front of the new gas fireplace. Sellers have replaced many light fixtures, had 10 new double hung replacement windows installed, updated the bathroom and newer appliances. 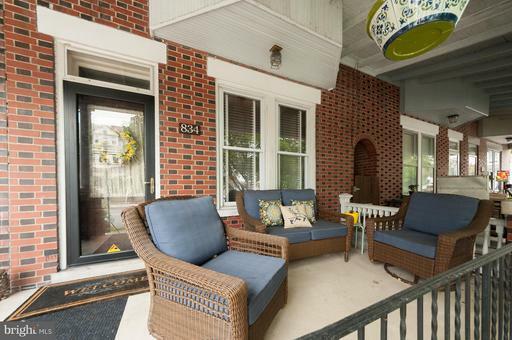 Great size front porch and private courtyard in back to enjoy. Experience the old with the new in this well-maintained home. A must see. Ross El School Pre-School, Elementary School / Public 3 0.21 mi. Reynolds Middle School Middle School / Public 4 0.99 mi. Mccaskey Campus High School / Public 2 0.75 mi. St Anne School * Pre-School, Elementary School, Middle School / Private N/A 0.1 mi. Brecht School * Elementary School / Public 7 0.53 mi. Lancaster Catholic High School * High School / Private N/A 0.6 mi. 834 N Lime St, Lancaster, PA 17602 is a 5 bedroom, 1 bath townhome or condo was sold for $175,000 by Phyllis Rothweiler in the Lancaster real estate office.